We tend to associate fireworks with 5th November but in reality the whizzes, bangs and whooshes often continue well into December with Christmas festivities and New Year parties. Whilst most of us enjoy the bright lights and noises, for some pets, fireworks are a struggle and a cause for worry. Christmas and New Year also bring a whole raft of other upsetting factors such as strangers visiting and a change of routine. Ask the neighbours to keep you informed. You can’t prevent local parties but you can be prepared if you know when they’re happening by walking your dog early and making sure your supply of toys, treats and supplements is fully stocked. Keep the den a positive place. Hopefully you’ve already got a spacious and comfy den for your pet which you prepared in the run up to Bonfire Night. Ensure the den remains a positive space by allowing free access and providing plenty of treats and toys. NEVER use the den for punishment. Maintain any supplements you’re using to help them cope such as Zylkène or pheromones like Cat Comfort until early January when you know the parties are done. Draw the curtains and switch on the TV or radio to dull the sights and noise from the party or fireworks. Pets will feel more relaxed when they have familiar faces around so staying in with them will help them relax. Ignore unusual behaviour unless they come to you for cuddles. In this case, give them affection, but no more than usual. Pets often pick up on their owner’s worry and overcompensating could increase your pet’s distress. Don’t force your pets to come to you, especially if they are in their hiding place or den. Keep as much as you can the same. It’s often difficult to stick to your usual routine at this time of year but where possible try to keep walks, feed and play times the same as they would be on a normal day. Administer calming supplements a few days in advance of your visitors arriving. Make sure there’s a quiet place for your pet – this is especially important for cats. If you’re congregating in the living room, make sure there’s a den somewhere upstairs where your pet can hide. Allow them free access to the whole house – don’t shut them away in a room as this may cause them further upset and make the situation worse. Make sure your pet is fed before your guests arrive. It’s a good idea to give them access to food and water near their quiet place, and also provide a litter tray for cats. However don’t have the food, water and litter trays too close together as this will put your cat off using them. 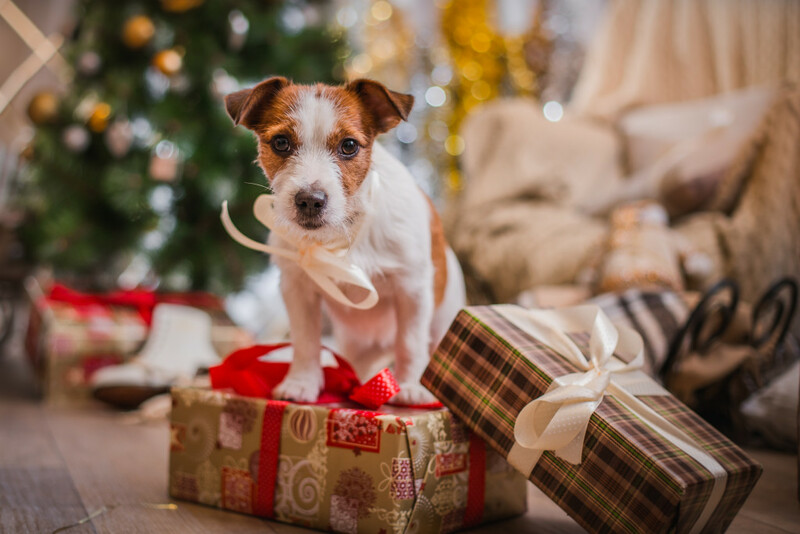 Following these steps will help keep those tails wagging and those purrs happy this Christmas!